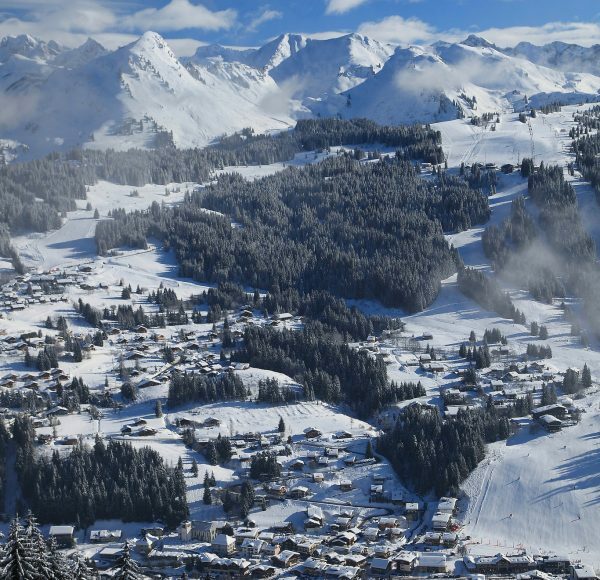 Les Gets has managed to keep hold of its traditional farming mountain village style. The centre of the town is charming and picturesque with classic wood and stone buildings. With a pedestrian friendly centre, and small ice rink in the centre the village is very family friendly. The town has been given the ‘Famille Plus Montagne’ label approving town’s facilities and services are well set up for families with children. With such a varies selection of activities to be had in the area, from rock festivals, the ski color event, to video parks and play pistes one could not get bored. 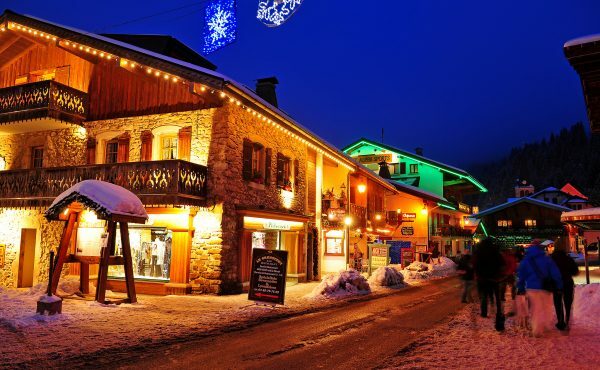 Dating back to the 12th Century the village has a rich history in Savoyard culture and cuisine, with a varied selection of hotels and restaurants to suit all requirements. 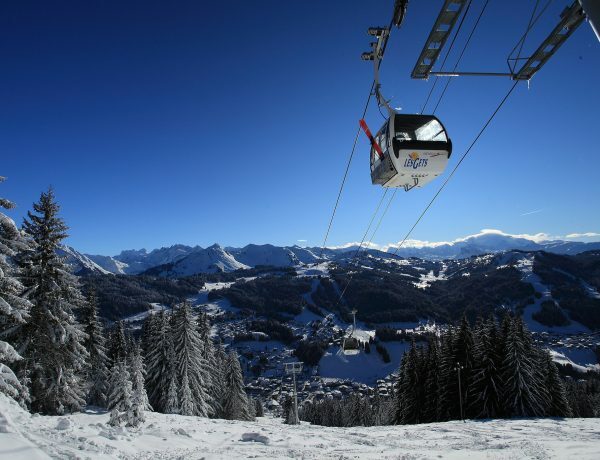 Les Gets has also made huge moves to become more environmentally friendly with lifts using solar panels instead of diesel and snow machines using no chemical additives plus many other improvements. 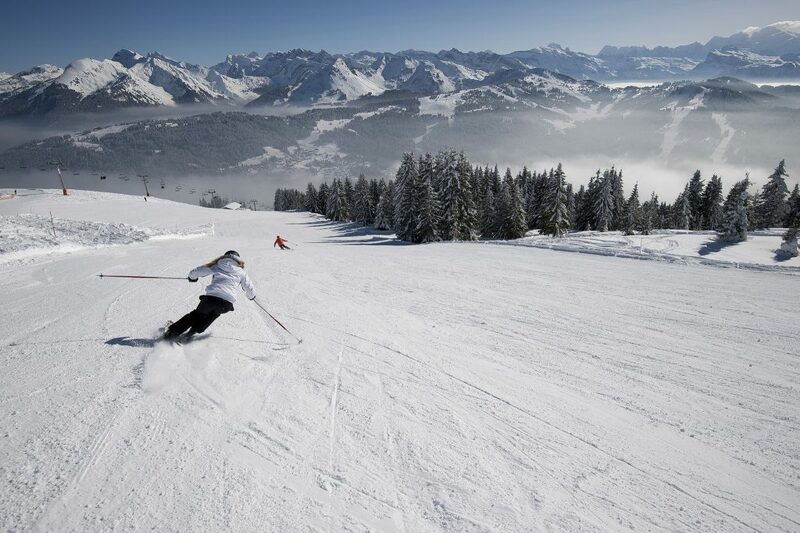 Les Gets has a great mix of skiing for all levels with some delightful tree skiing back down to the village. The Lifts are well laid out, and due to recent investment most of the lifts are state of the art. Around March Les Gets throws the Ski Color party, a huge celebration of snow and colour, whereby one can don a white jumpsuit as seen at crime investigation scenes, and then ski a course where one is showered with natural coloured powder. The result is a crazy and rather inexplicable experience that will undoubtedly put a smile on ones face. The village nursery slopes offer a lot to the beginner. 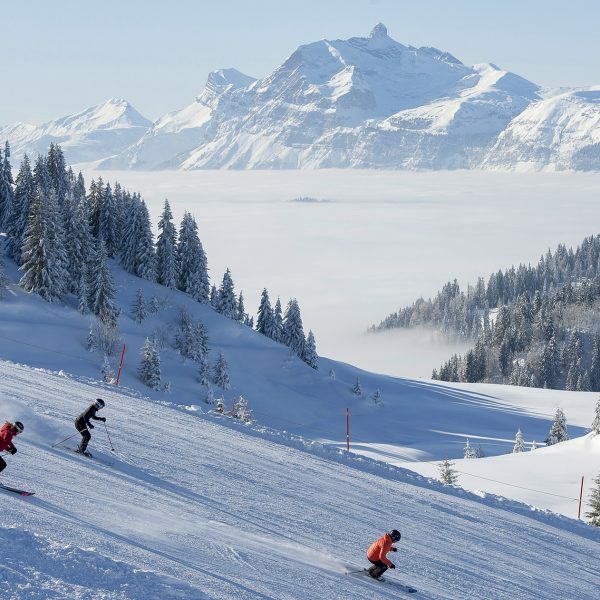 However, higher up the mountain in the Chavannes area there is more space and pistes for beginners including the ‘Mappy’s area’ and ‘Grand Cry Territory’ an American-Indian themed ski area with tepees and farm animals. 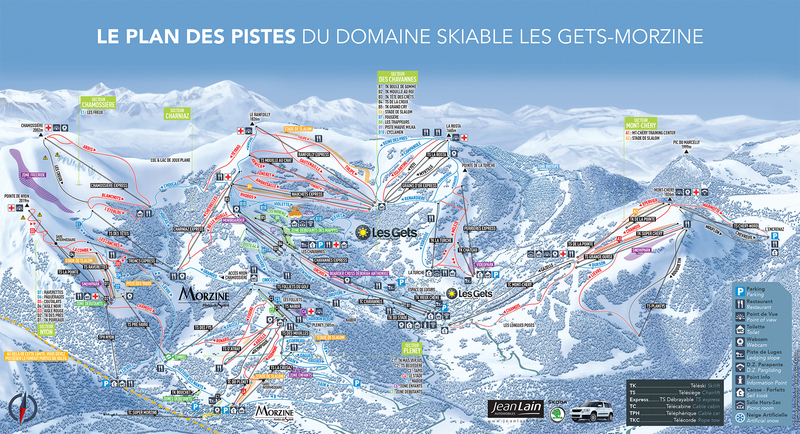 Intermediates will love the access to port de soleil and the huge amount of terrain that it opens one up to. However, the local slopes have lots to offer too, with long cruising pistes to steeper reds pistes on the Mont Chéry side. 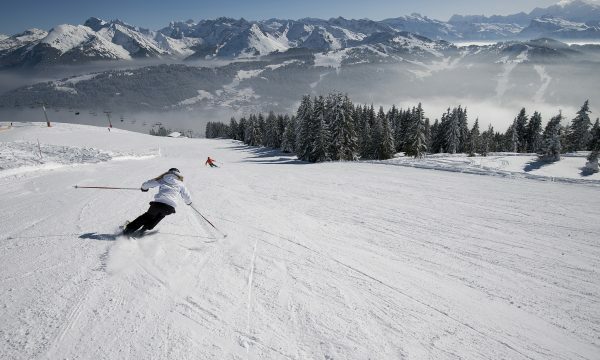 The Mont Chéry mountain has some great black pistes on the flank and back of the mountain where one can often find some bumps to test one’s metal on. Plus the area stays pretty quiet, so there is lots of fun to be had. Once again Mont Chéry has some great off piste, including some north facing aspects. As for the Chavannes side the bowl sitting under the peaks of Le Ranfolly and La Rosta are fun, but as ever take a guide with you. Some great and very quiet pistes are to be found on Mont Chéry, from Marmottes to Bouquetin and if one is looking for the best food on the mountain then one should head to La Grand Ourse on Mont Chéry. Possibly some of the best food on the mountain is to be found here. 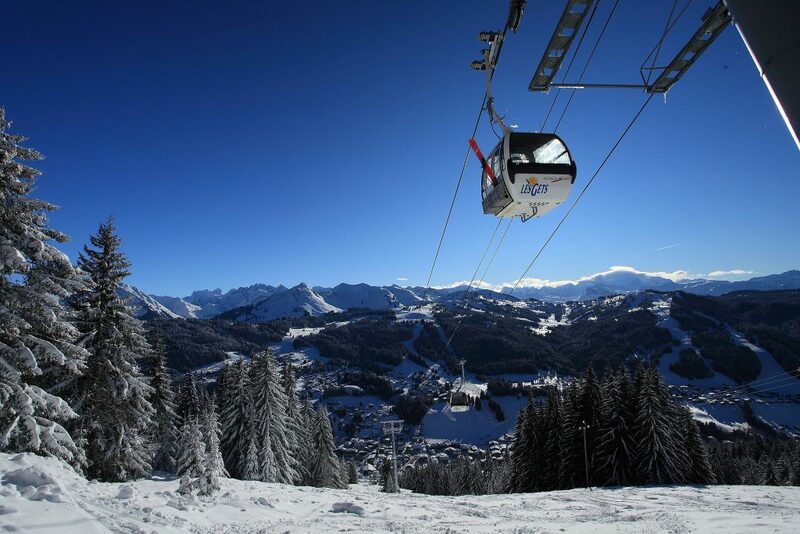 With awesome views of Les Gets and onwards to Mont Blanc one should prepare to be here for several hours as you will want to try everything on the menu! Des Chavannes is a little busier, but with long and often wide sweeping runs, it is hard not to crack a smile whilst cruising around. If looking for something a little different, one can try Sled Dogs for new way of experiencing the pistes. 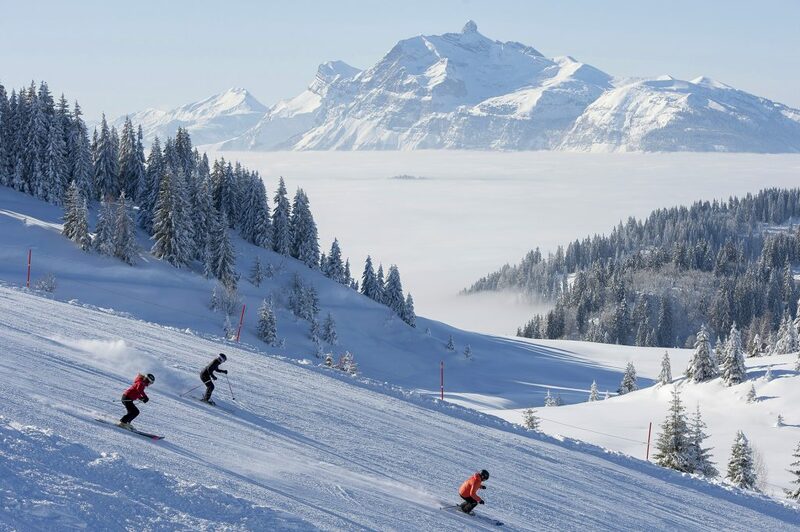 The area is particularly picturesque after fresh snowfall due to the forest on the mountain and with a great selection of cosy mountain restaurants, this is the perfect place to ski. 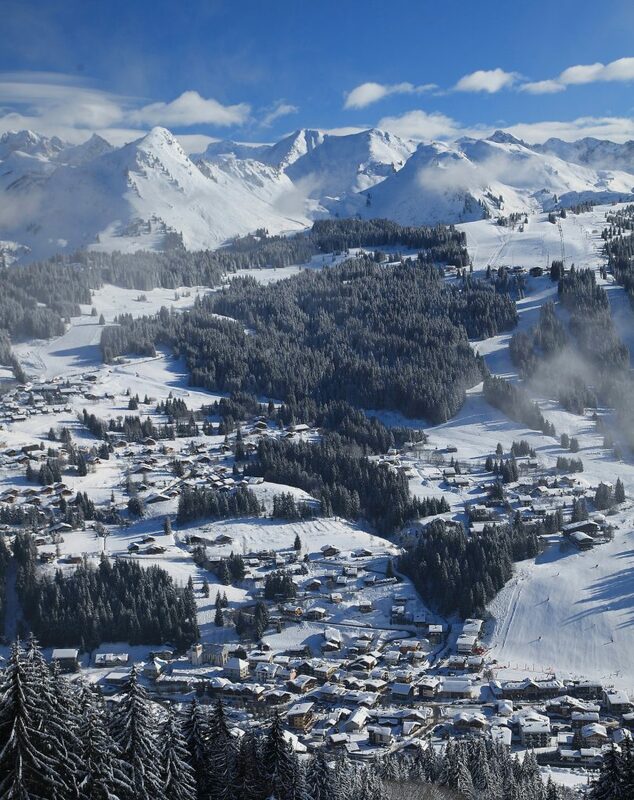 Crystal Ski Holidays offers a week’s self-catering at the four-star Les Fermes Emiguy Apartments in Les Gets from £383 per person (based on four sharing) Direct flights available from all major UK airports.